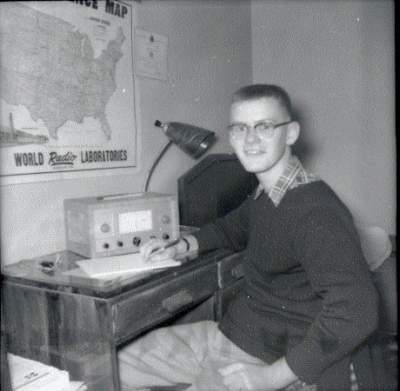 I was technically curious as a young lad and always had a fascination with radio from an early age. I knew that I was destined to become an electronics technician from an early age, even before I entered technical school. 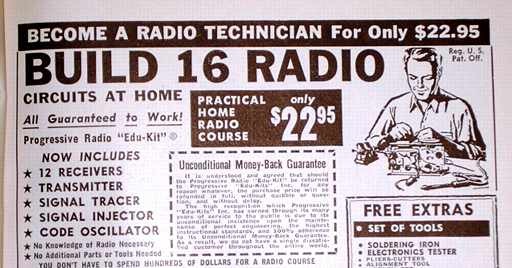 It was around 1952 or 53 and I was able to save enough from my paper route money to invest in the Progressive Edu-Kit which gave me my first hand-on experience actually building radios. Here’s the ad that grabbed my attention and my imagination. The advertisement that grabbed a young lad’s imagination and desire. Sparse as it was, the Edu-Kit came with everything needed to explore the wonderful world of electronic construction and prepared me for even better projects later. Everything needed and more to explore the world of electronics. The Edu-Kit whetted my appetite for more complex projects. 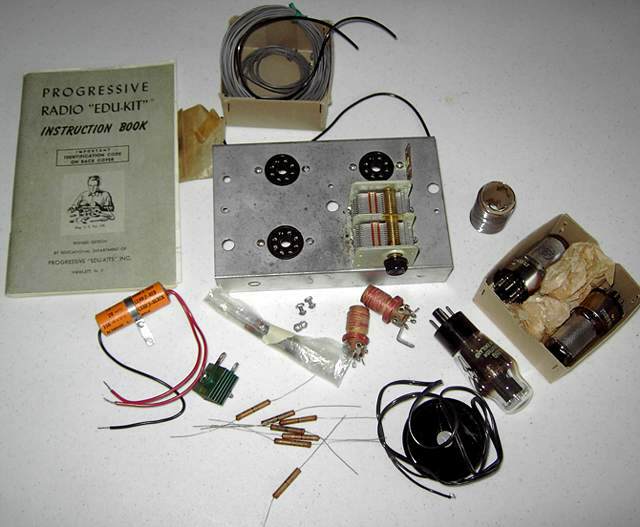 A Heathkit AR-3 receiver (shown in the picture below) was my first major construction project. This was the radio that got me started SWLing and ultimately into ham radio. The year was 1955 and I was 14-15 years old. My first major construction project that opened up the door to wonderful world of shortwave listening. I got my license in August 1957 having just turned 17. 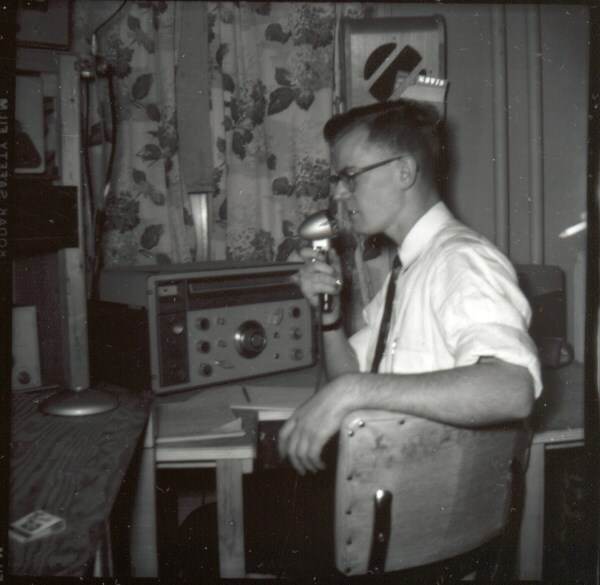 My first rig was a Heathkit DX-35. I ultimately added a Heathkit VF-1 VFO and a homebuilt 813 grounded-grid linear (the cabinet on the top of my homemade rack). My Mother, bless her heart, bought me a National NC-303 Receiver which I treasured for many years. 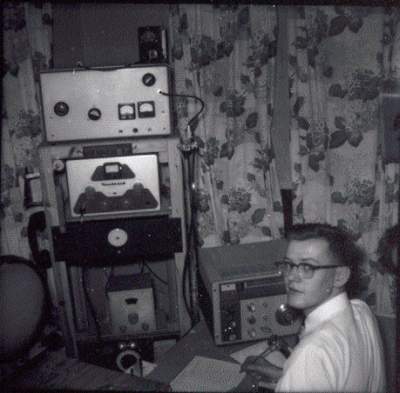 My first ham shack, 1957-8 with a newly minted call-sign, VE3EBF.